The Merengues came out of Barcelona with an important 0-1 win against Espanyol, in the first leg of the Copa del Rey's quarter-finals. Karim Benzema scored the winning goal in the mid-point of the first half, after responding with a good header to a cross made by Alvaro Arbeloa. 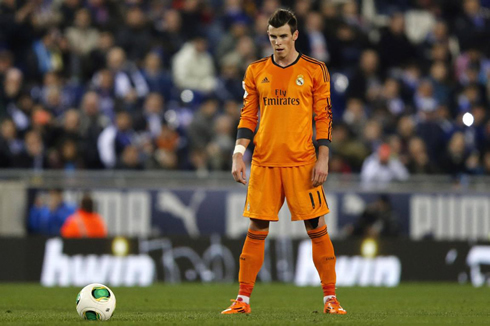 This Tuesday night Real Madrid completed their 6th straight game without conceding a single goal. 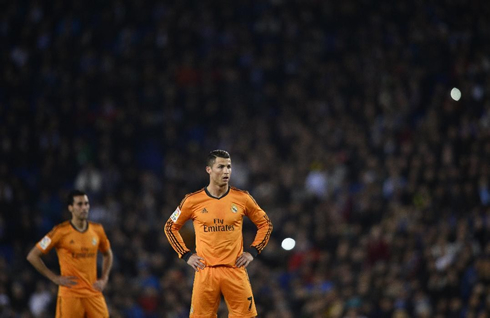 Carlo Ancelotti's men edged Espanyol in the Copa del Rey's first leg game, as they brought home a difficult 0-1 win. The hosts couldn't avoid repeating the same result they had already earned for La Liga roughly 10 days ago and Real Madrid will go into the 2nd leg at the Santiago Bernabéu next week, carrying a comfortable 1-goal lead. The only goal in the game was scored in the 25th minute of the first half, after a good cross from Arbeloa that Karim Benzema headed into the back of the net. Cristiano Ronaldo still hit the woodwork before the break, but that would be the closest he would get to write his name in the scoresheet this Tuesday night at the "Cornellá-El Prat". Ancelotti didn't facilitate anything at all when picking his starting eleven for this quarter-finals first leg clash against Espanyol. As usual in cup ties this season, the Italian manager lined up Iker Casillas in the goal, and then went with his classic back four: Marcelo, Sergio Ramos, Pepe and Arbeloa. In midfield, the former AC Milan, PSG and Chelsea manager decided to give some rest to Xabi Alonso and played with Illarramendi, Modric and Angel Di María. 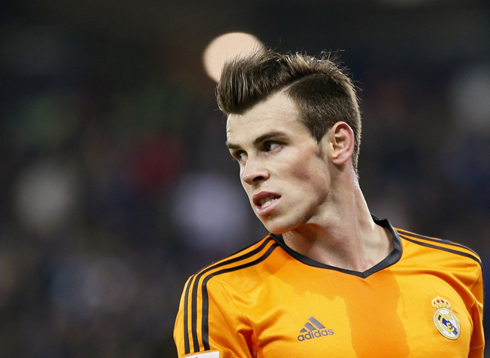 The attack was left to the BBC partnership: Bale, Benzema and Cristiano Ronaldo. A clear message that Real Madrid is taking this Copa del Rey very seriously. The visitors started the game playing well and creating several good chances to score first. Cristiano Ronaldo was leading the attacking charge and hit the post in the 21st minute after a quick turn and a right-foot strike at the entrance of Espanyol's box. Before that, he had already had a couple other opportunities on which he got close to score, but unfortunately and for one reason or another, none of them got to be finished as he wished. Real Madrid has clearly been the better side throughout the first 45 minutes and it wasn't a big surprise to see them taking the lead around the 25th minute. Alvaro Arbeloa moved forward on the pitch to support the attack and sent a good weighed cross from the right, which ended up being slightly deflected by Gareth Bale before falling near Benzema's zone. The France international was quick to react and showed he's also reliable when it comes to finish plays with his head, as he broke the deadlock in the "Cornellá-El Prat", giving the Merengues an always important away goal in these two-leg ties. The 0-1 result didn't suffer any further changes until the break and Ancelotti decided not to switch any players when coming on to the second half. Real Madrid didn't exactly dominate their opponents as they had wished, but at least they seemed to be in control of things and were looking dangerous in counters and quick build-up plays. Espanyol in the other hand, had a lot to improve if they still wanted to get back in the game and have a say in this quarter-finals tie. The truth is that the hosts got a lot better after half-time and the second half was a lot more even than what the first 45 minutes had been. Espanyol got their best two goalscoring chances in the final 10 minutes of the game, first in a 1-on-1 duel between the Mexican forward, Jhon Córdoba, and Real Madrid captain, Iker Casillas, which the Spanish goalkeeper brilliantly saved to keep his goal intact. Later on in the game, a corner-kick from the left resulted in a big mess inside Real Madrid's box and this time it was Marcelo saving the day there, with an important clearance near the far post. With this 0-1 win, Real Madrid will host Espanyol next week at the Bernabéu carrying what an important advantage. The Merengues are now in a good position to secure their qualification into the Copa del Rey's semi-finals and if Madrid do go through, they will face either Atletico Madrid or Athletic Bilbao in the next round, which will be played by February. Cristiano Ronaldo next game for Real Madrid will be against Granada, next Saturday afternoon, for La Liga (January 25, 2014). You can watch Juventus live stream, Real Madrid vs Granada, Levante vs Barcelona streaming, Manchester United vs Sunderland and Arsenal vs Coventry, all matches provided from our soccer live section.